Davidson’s Fort will hold its first Spring Muster on May 22. As you may know, volunteers have been rebuilding Davidson’s Fort, a Revolutionary War fort that gave the town of Old Fort its name. 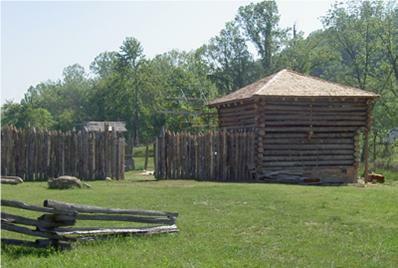 (To learn more about the Fort, check their website or browse some of our blog postings about Davidson’s Fort.) 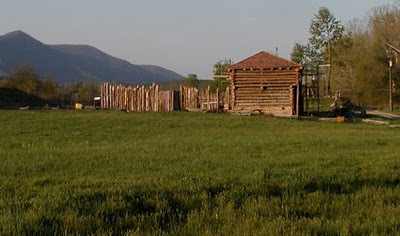 The Fort is approximately 15 minutes east of the Inn on Mill Creek right here in our county, McDowell County, NC. Davidson’s Fort is open to the public every Saturday, and May 22 will be a special Saturday at the Fort during the Spring Muster. The Muster will begin at 10am and will showcase a large group of Colonial re-enactors and Sutlers. (A sutler is a civilian merchant who provided provisions to the soldiers.) Additionally, there will be period craft demonstrations every hour from 10am to 6pm, as well as plenty of food and beverages to enjoy. From the latest Davidson’s Fort Progress Report, we learned of a new feature at the Fort — Joe Williams and Lissa Silver planted a vegetable garden. We can’t wait to learn what else they have in store for visitors to the Fort.